What is Real-Time Bag Tracking? 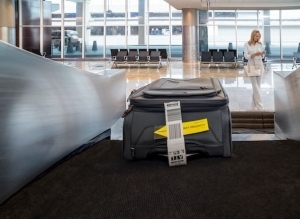 Delta’s focus on innovation has moved up a gear with the roll out of a new industry-leading service which allows customers to keep track of their checked bags via their mobile phones. Radio Frequency Identification (RFID) bag tags are added to all checked luggage which are read by RFID scanners at various points along the journey. Customers’ receive push notifications via their phones on the Fly Delta app, giving them real-time updates on their luggage from check-in to the arrivals carousel. Initial results of RFID-tagged items show they are tracked at a 99.9 percent success rate, ensuring proper routing and loading. In addition to live updates, customers can also access a map view of their bag’s journey when travelling in the United States through the app.